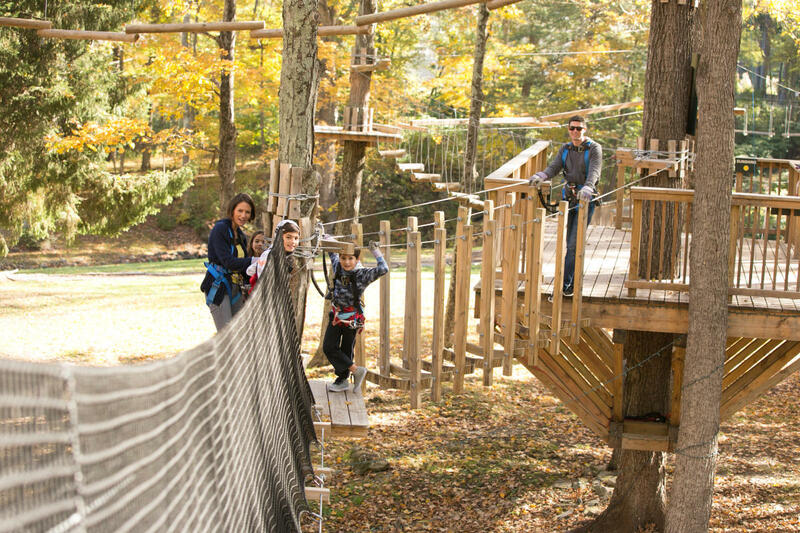 Take a closer look at the fiery fall foliage when you climb through the treetops at a Poconos adventure park! Travel from tree to tree as you work your way through challenging aerial obstacles including swinging bridges, rope sections, suspended logs, wire cables and more! Check out our list of 25 ways to view fall foliage in the Poconos!